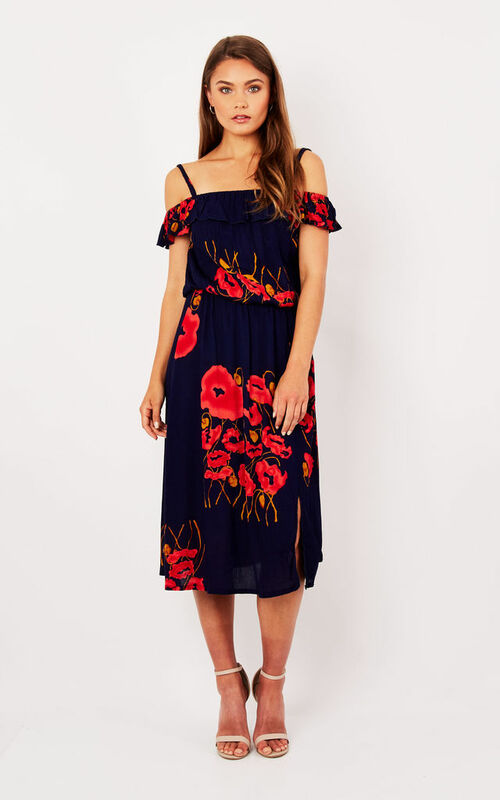 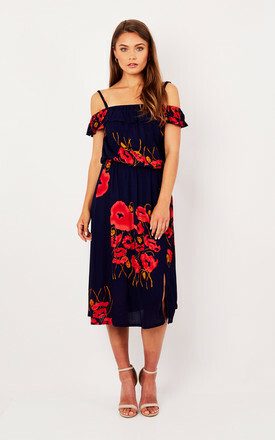 The perfect Summer dress , Bardot dress with pretty frill detail in navy floral poppy print . Front split detail adds sass , great to dress up or down . 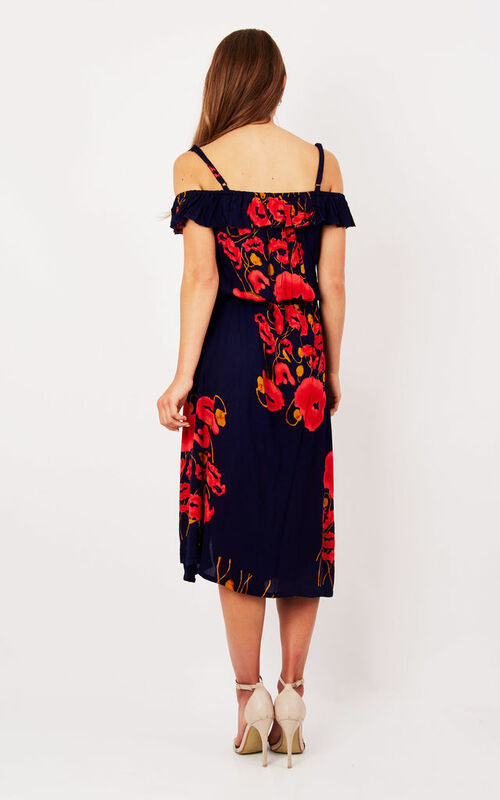 Fabric is cheesecloth for a vintage feel.